Following the lead of the federal Conservative regime, the Ontario Liberal government announced that, starting in 2017, it will force its public service workers to pay more and work twice as long to qualify for retirement benefits such as life insurance and health coverage. The measures, which require retirees to pay half their benefit premiums, now fully funded by Queen’s Park, and necessitate 20 years’ service instead of the present 10, are not subject to negotiation, which they will be at the federal level. Liberal Government Services Minister John Milloy simply imposed the changes, aimed at saving $1.2 Billion over five years. This will be directly at the expense of provincial workers, and indirectly harms all workers by the example it sets. 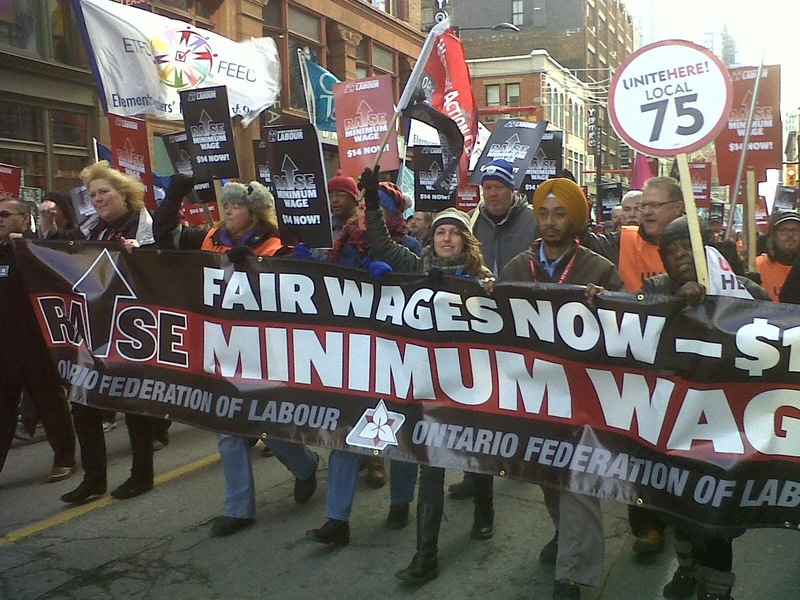 Sid Ryan delivered a scathing report to the Ontario NDP provincial council on the morning of March 2. He said he was “perplexed” by the process and by the weak position taken on the minimum wage. On the topic of pensions, Ryan bluntly warned that if Queen’s Park initiates an Ontario pension plan because Ottawa refuses to increase the CPP, it had better be a universal plan, with no opt-out features, or Labour will vigorously oppose it. He explained, in advance, his reasons for concern. “There is no consultation with unions by the party leadership. Policy decisions are just announced. There may be a wise and grand strategy behind it all, but it’s certainly not evident to me,” Ryan complained. 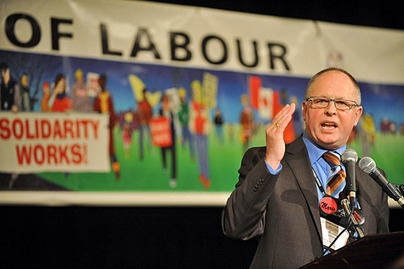 Finally, the OFL President insisted on the importance of the campaign to defend postal services, to reverse the Tory-backed Canada Post plan to eliminate door-to-door mail delivery. He pointed to this writer as the organizer of a mass picket, set for March 15 at the Toronto office of Conservative Cabinet Minister Joe Oliver, and urged everyone to participate in the protest. Sid Ryan concluded by confiding to the council that the harsh things he’d said were necessary to say, all true, and told from the heart – and that being frank about these matters may be the only way to get a real dialog going. And he’s correct. But much more must be said, and done, to force the ONDP leadership off its present course, increasingly distant from the union movement, and increasingly cozy with the business class. Previous PostBudget targets federal workersNext PostHarper claims Afghanistan ‘better off today’ What’s the truth?